Christmas has already arrived at Wal-Mart, as in shopping malls and retail stores everywhere. It began as soon as Halloween, which was celebrated from August to the end of October, drew to an end. Overnight, plastic Santas and singing wreaths replaced orange candy on the shelves, and sound systems have begun to blare Frank Sinatra singing “Chestnuts Roasting on an Open Fire” over and over again. All this, euphemistically known as “the holiday season,” is supposed to cheer us through the winter, or at least dramatically increase retail sales–occupying the economy as well as emotions from November 1 until the last shopping day. An important question is what Orthodox Christians are supposed to do during this season. Our tradition is to spend the weeks from November 15 until Christmas Day fasting in preparation for the Feast of the Nativity. We abstain not only from meat and fish and eggs and milk, but from parties and celebrations, loud music and worldly things. Our meditation is not on retail goods and shiny bicycles, but on the God-Man who redeemed humanity by His birth…right? In reality “the holiday season” will insert itself into every aspect of our lives over the next two months. It is unavoidable. Orthodox children, like Jewish children and everyone else, will take part in school programs where they memorize secular songs about winter, along with traditional Protestant Christmas carols and (in some school districts) Hanukkah tunes and Kwanza’a poems. Orthodox adults will have to endure office parties with obnoxious drunks wearing fake antlers on their heads. Children will demand to see the elf movie, and wives struggle with the issue of what to do with Uncle Spiro if he comes to spend the week of Christmas again this year. Like everyone else, we will find ourselves running from store to store to find the right gifts we can’t afford for relatives who don’t like us and for people we don’t really know. Talk with people at the shopping mall. They are as tired as you are. Show kindness to perfect strangers, and they will respond. This is your opportunity to “be Orthodox, not just in name only, but really” (St. Ignatius Martyr, Letter to the Magnesians). Initiate dialogue with non-Christians. During this season especially there are followers of religious cults proselytizing in the shopping malls and on the sidewalks. (An example is SRF, “Self-Realization Fellowship”–a Hindu-based cult whose members hand out magazines, sometimes with pictures of Christ on the cover. They teach that the “Christ-spirit” really means our own cosmic awakening through practice of kriya yoga.) If someone hands you literature, accept it graciously and then ask about their beliefs. After listening respectfully, respond with the Gospel of Christ: that God took flesh and in doing so, redeemed humanity and the world. Tell them about Orthodox tradition; they will find it incredible that there actually are Christians who fast in preparation for Christmas! At the office, attend the party but cheerfully tell friends you can’t share in the drinks. Offer to bring the champagne or Greek wine after Christmas, when it really is time to celebrate. This gesture, if done with genuine humour and good will, can spark interest in the origins of Christmas and what it means to be Orthodox. Also, you may have an opportunity to cheer some fellow workers after Christmas, when they may be depressed after the holidays! Teach your children about Christmas. Read to them about the “real” Santa, the fourth-century St. Nicholas of Myra; and about St. Basil the Great, who gave the world hospitals and charitable institutions for the poor. This will equip your children to talk knowledgeably with friends at school, making them something of a celebrity. Ask them how they would like to carry out the saints’ generosity to the poor. Often, children have innovative and impressive ideas for how to show charity. But stress that this is something we can do all year long, not just during the celebration of Nativity. Finally, it is important to learn all you can about Christmas. In America today there are many half-truths or myths about Christmas which are cited as “facts” in conversations about religion. 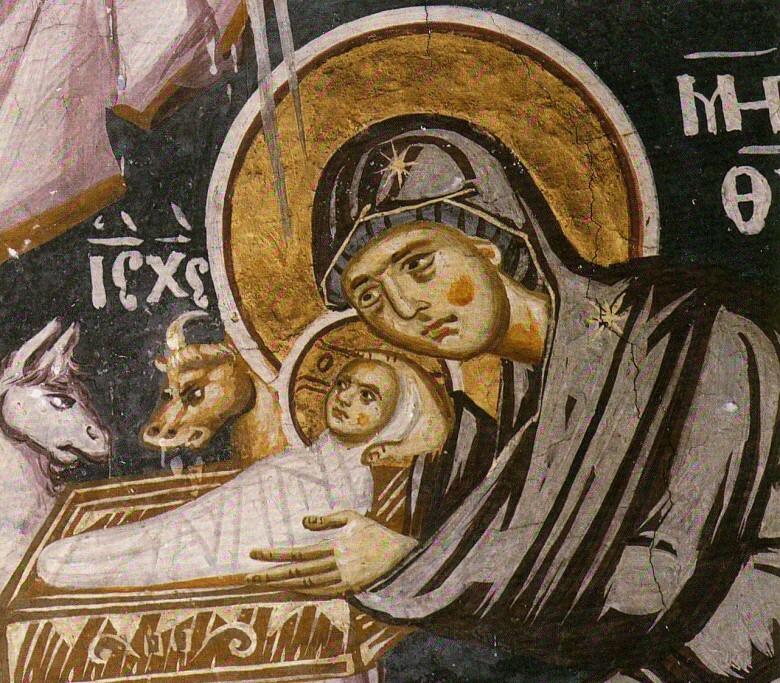 Examples currently on the Internet are the idea that early Christians borrowed the holiday from the Romans (a claim frequently made on radio by the late atheist Madalyn Murray; that Jesus was actually derived from a Persian god named Mithra; or that early Christians were ignorant about whether Jesus was really born in Bethlehem, or when He was born. To respond to claims like these, Orthodox Christians should read carefully the Gospel accounts about the birth of Christ (Matthew ch. 1-2, Luke ch. 1-2) and know what they really say or do not say. For example, the Wise Men–who weren’t kings–were not present at the birth of Christ. During this time of year there are always remarkable claims about Christmas which make the rounds of the internet, radio shows and gossip at the office. Some of these can be disturbing, especially to our children. An example currently circulating on the internet is the claim that Christmas is a pagan holiday originally celebrated by Romans, and which has nothing to do with Jesus Christ. Another says that Jesus never existed, but was actually a mythological figure in the Zoroastrian religion. Still another says that if you have a Christmas tree, you are a pagan because the Christmas tree was sacred to the Druids. How can we respond to all these claims, and many others like them? Never mind the Grinch–has Christmas been stolen by the real facts of history? To respond to these things, Orthodox should, first of all, make themselves familiar with the actual biblical accounts of Jesus’ birth. These are found in the Gospels of Matthew, ch. 1-2, and Luke, ch. 1-2. We should also be familiar with prophecies regarding the Messiah found in the Old Testament prophets–for example, Isaiah 7:14, 9:6-7, and 60:1-2 (frequently quoted at Christmastime). Here are some Amazing Facts which can help you or your friends counter claims which you may hear while shopping or at work, or which your children may encounter at school. The following topics are actually taken from questions raised by children and adult members of our cathedral, and from the internet. Jesus never existed. He was actually a Persian god (or Zoroastrian god) named Mithras, who was said to be born on December 25. Answer: Ancient Persians, along with the Aryans of ancient India, worshipped the god Mithras who was said to be the “covenant-maker.” Mithras was associated with placing the stars and planets in their constellations and orbits. Mithras was said to have been born on December 25, emerging from under a rock (some say, from a cave). He was associated with December 25 because this is the Winter Solstice. 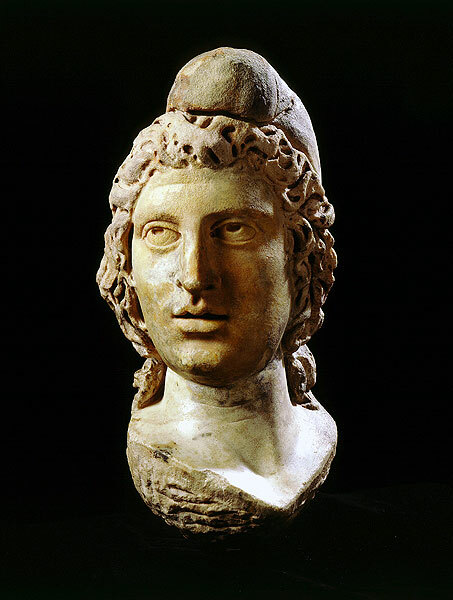 By Christian times Mithras was no longer important in Persia. Romans celebrated December 25 as the festival of sol invictus (“the invincible sun”). Meantime, however, a new Mithras-cult had arisen in the Roman Empire, for entirely different reasons. In around 128 BC a Greek astronomer, Hipparchus, discovered that the sun was rising in a new position each year. Over a period of time–about 2,160 years–the sun rises in a new constellation when measured during the equinox (a phenomenon known today as “solar precession”). Around 4,000 BC the sun had moved into Taurus; around 2,000 it had moved into Aries. Soon it would move into Icthys (Pisces). This startling discovery gave rise to a new secret religion which astronomers called “Mithraism” in honor of the ancient god from Persia. Mithraism became very popular among Romans during the decades immediately before and after the rise of Christianity. It was a secret society limited to men, meeting in Mithra-temples carved into caves or underground. In Mithra-temples the god Mithras–identified by a Persian red hat–is depicted seated on a bull (symbolizing the constellation Taurus), slaying him with a knife. Depicted around him are Aries, Icthys, and finally Aquarius (which, Hipparchus correctly predicted, would be the next constellation–occuring in our own time!). When the Emperor Constantine the Great legitimized Christianity in the fourth century, he instituted the Christian festival of Theophany (“the appearance of God”), replacing sol invictus with the Christian celebration. 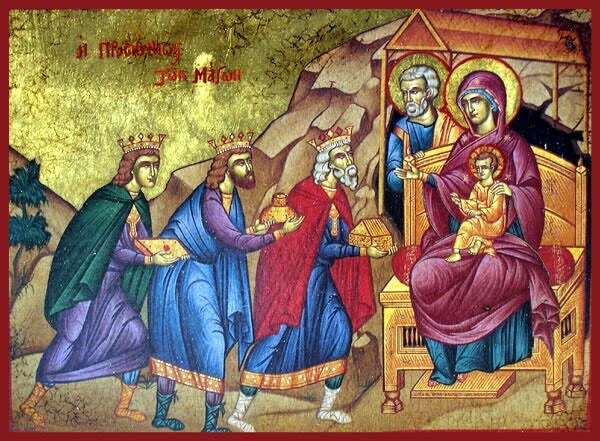 Later the celebration of Epiphany was instituted on January 6. Constantine was wise to replace the Roman worship of the sun with worship of Jesus Christ. This strategy also helped to do away with the secret worship of Mithras. Did his strategy work? Well, who do you know who worships Mithras–or the sun, for that matter–on December 25? (Ok, there are some Neo-pagans who do–but that is another story.) By the way, Jesus really was born in a cave, which Judean shepherds used for barns, as they still do today. Jesus wasn’t born on December 25. He wasn’t born on January 6 either. Of course not. The Gospels tell us that Jesus was born in the spring-time, or perhaps early fall (during lambing season, when “the shepherds were keeping watch over their flocks in the fields by night”). As already pointed out above, Christians didn’t celebrate the day of Jesus’ birth, but the Incarnation of the Son of God. By the way, Jews didn’t celebrate birthdays, which is probably why the Gospels don’t tell us the date of Jesus’ birth. January 6, the Feast of Epiphany, was connected with Jesus’ baptism or the public proclamation of His ministry. However, it is interesting that since the adoption of the Gregorian Calendar by the western nations and most of the Church, the actual day of December 25 in the Julian Calendar (the “old calendar”) falls on the “new-calendar” day of January 6. Therefore, certain Orthodox Christians (“old-calendarists” in Russia, Ukraine, and Greece) celebrate Jesus’ birthday on the western date of January 6. The Three Kings didn’t really come to worship Jesus. Actually, Persian (Parthian) astrologers sent a delegation to the Emperor Nero in around 66 AD and offered him gifts. First of all, the Three Kings from the Orient were not three, they weren’t kings, they weren’t from the Orient, and…they weren’t there at Jesus’ birth. The Gospel tells us that they were magi, i.e. “sorcerers.” This term was used to indicate Zoroastrian astrologers. 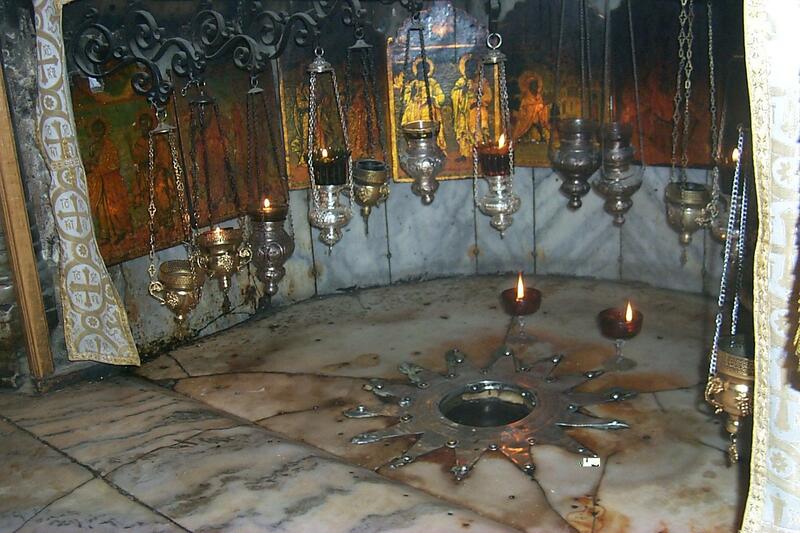 Christian tradition cites more than three astrologers–perhaps as many as nine–coming from different places, including north Africa (they were not, though, from the “Orient”) and converging on Jerusalem. There, they inquired about the auspicious birth of a new king. Jews would of course have interpreted this inquiry in terms of prophecies about a coming Messiah (Anointed One). As a result the Magi were pointed to Bethlehem, as foretold in Micah 5:2. Herod’s reaction indicates that the Magi arrived perhaps two years after Jesus’ birth. Matthew’s Gospel tells us that they went “into the house,” which means that Jesus’ family was no longer at the cave where he was born. There is an account of a Parthian delegation to Nero in about the year 66.This is not surprising; Nero demanded the personal adulation of people of all nations, thinking of himself as a god. Evergreen trees were worshipped by Druids. This proves that Christmas was originally a pagan holiday. 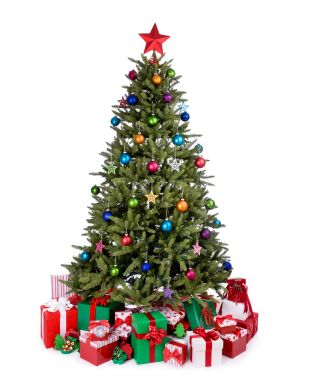 If you have a Christmas tree, you are a pagan, too! Ancient Celts of Europe and Britain did connect the Winter Solstice with certain evergreen trees and plants, including the mistletoe, holly, firs, and the oak (a tree particularly sacred to the Celts). Christian missionaries to the Celts sometimes chopped down sacred trees. When they did this, local people expected the gods to destroy the missionaries. When nothing happened the Celts converted. Traditionally, however, it was Martin Luther, the founder of the Protestant Reformation in Germany in the sixteenth century, who brought the evergreen tree into the house and decorated it with a star (recalling the star of Bethlehem) and candles (indicating that Christ is the “light of the world”). St. Francis of Assisi, in the eleventh century, originated the custom of setting up a Nativity Scene or creche to recall Jesus’ humble birth. Having a tree doesn’t make you a pagan. However, be careful not to eat the berries from mistletoe–they are poisonous, which is why the Celts treated them with superstition! But Greek Christians thought she was a virgin because the Greek translation of the Old Testament passage uses the word parthene, misleading the Greeks. Actually, the Hebrew text for Isaiah 7:14 uses the word almah which really does mean “virgin.” Yes, it can mean “unmarried woman,” though it would have been assumed that unmarried women were virgins. The same word also connotes “concealment,”i.e. not exposed to sexual relations. (If you doubt that the word means “virgin,” find a Hebrew-speaking Jewish man with a young daughter and tell him that his daugher isn’t almah. Then duck, because he’s going to swing at you.) The Septuagint, a translation of the Hebrew Old Testament into Greek in the third century BC, uses the appropriate Greek translation, parthene. Note that the Septuagint translation was made by Jews, not Greeks. Also note that the passage in Isaiah is about seeking a miraculous sign. If the passage had only meant that a “young woman will become pregnant,” that’s no miracle. Neither Jews nor Christians understood the prophecy in that way. These differences are sometimes taken for evidence that the accounts of Jesus’ birth were simply made up in later years. A similar view, generally accepted among European and American theologians, is that the accounts are meant to be symbolic rather than historical. Therefore (the argument goes), the story about the shepherds and the angels is not “real,” but simply part of a primitive motif of oral tradition: the “shepherds” mean that Jesus came for the poor, while the angels indicate approval in heaven. Similar explanations have been put forward for every detail of Jesus’ birth, including the trip to Bethlehem, Jesus’ birth in an animal stall, the visit by the magi, the flight to Egypt, and the killing of the infant boys by Herod. The greatest objection to taking the gospel accounts seriously, however, has to do with the accounts of Jesus’ ancestry. The Gospel of Matthew begins with a genealogy tracing Jesus’ lineage back to the time of the Patriarch Abraham Matthew 1:2-17). The Gospel of Luke also records a genealogy, this time stretching back to Adam Luke 3:23-38).Anyone who has ever read these two genealogies cannot fail to notice that the lists are different. Luke’s list, moreover, seems far too short to stretch back to the beginning of time. The problem of the different genealogies was recognized from early times. 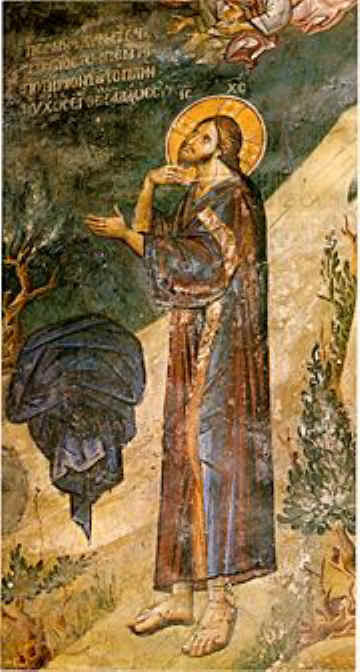 In his Church History the historian Eusebius (d. 340) explains the differences, but Christians may have disputed the issue much earlier. 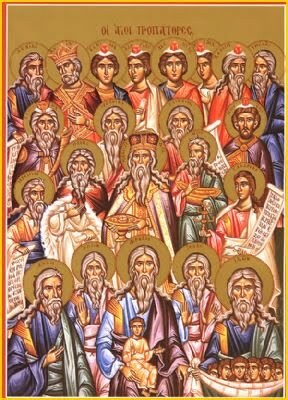 St. Paul wrote to Timothy, for example, to charge certain persons not to teach different doctrines nor to occupy themselves with “endless genealogies which promote speculations rather than the divine training which is the faith” (1 Timothy 1:3-4). Was this a reference to discussions about the genealogy of Jesus Christ? In any case, the simplest explanation is that Matthew traces Jesus’ genealogy through Joseph, while Luke traces Jesus’ family history through His mother, Mary. It is sometimes noted in commentaries that in Jewish practice, Mary’s genealogy would actually be in her husband’s name. This means that Mary’s genealogy begins with Joseph, her husband. He is called “the son of Heli,” which today would be expressed as “Heli’s son-in-law.” Joseph’s own father was Jacob (Matthew 1:16). Unfortunately, this explanation is not entirely satisfactory for a number of reasons (for example, tradition says that Mary’s father was named Joachim)–although the genealogies of some women are presented in the Old Testament (cf. Number 26:33, 1 Chronicles 2:16-17, 8:11). We note, however, that Matthew’s Gospel was probably composed in Aramaic, intended for Jews in Judea and Galiliee. It emphasizes Jesus’ fulfillment of the Mosaic Law; therefore, Matthew traces the genealogy to Abraham, Patriarch of the Jews, showing that Jesus is descended from the House of David. Luke, on the other hand, is writing in Greek for fellow Gentiles. His purpose is to show that Jesus is the Savior who has come for the Gentiles as well as for the Jews. Therefore he traces the ancestry back to Adam, “the son of God,” emphasizing that Jesus too had no earthly father. In the practice of the time, it would not have been necessary to name every generation. The intent, in both gospels, was to highlight the most important or significant names. Another factor is the Jewish practice known as “levirate marriage.” Jewish genealogies were sometimes traced through the biological father, and other times through the legal (not biological) father. The reason is recorded in Deuteronomy 25:5-10. According to this requirement of the Law of Moses, if a married man died without a male heir his brother (or nearest male relative) had the responsibility to marry the widow and to provide a son for her. The son would be given the name of the woman’s first husband .In that way, the name of the original husband would be perpetuated. By custom, this legal relationship was more important than the biological one. If this is what happened in the case of Joseph, he would have only one paternal grandfather–recorded by Matthew as “Matthan” and by Luke as “Matthat” (the different spellings being due to variations in the way Aramaic, Hebrew and Greek names were rendered in translation). In both gospel accounts of the birth of Jesus, of course, Joseph is portrayed as the legal–not the biological–father of Jesus. Actually, the gospels are very reliable in terms of recording historic events. Some of these have only recently been corroborated by extra-biblical disciplines, and explain apparent problems in the biblical texts. For example, Herod the Great died in 4 B.C. Does this mean that the gospel accounts are inaccurate in the claim that he was king, and killed the innocent boys in Judea? Not really. Fr. 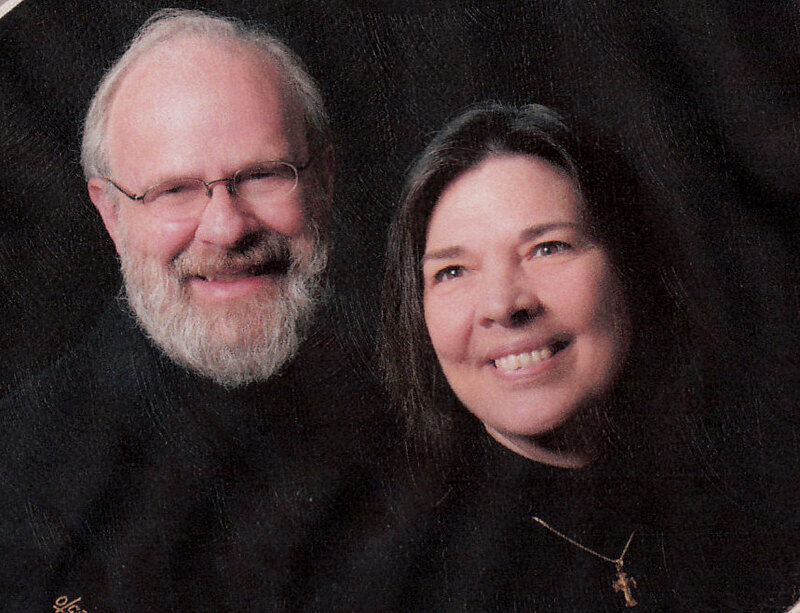 Brendan Pelphrey is a Greek Orthodox priest.